If the Schedule Manager gives the Teacher role an access date in the schedule set, all teachers can view student schedules via the students' Progress tab. However, only teachers of the students (and the Schedule Manager) can record their attendance. As a Schedule Manager, go to Academics > Scheduling > Schedule Online > Schedule Sets. 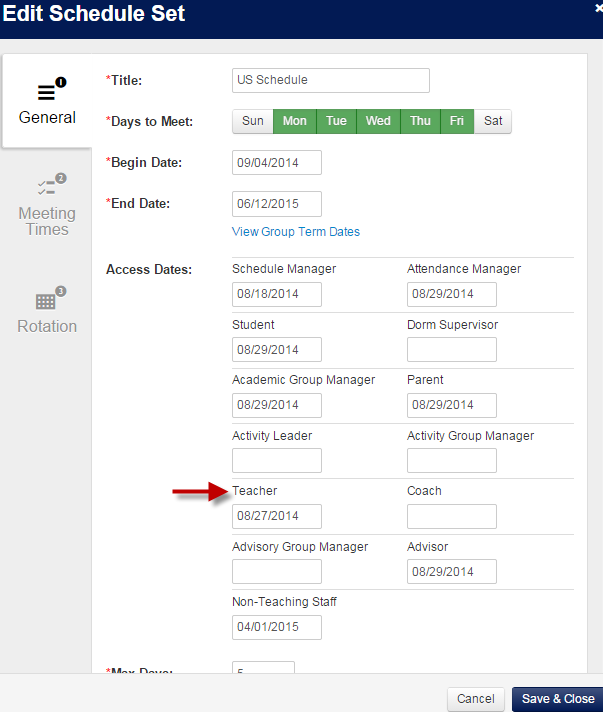 On the General tab, enter an Access Date for the Teacher role.